Director Christopher Nolan’s highly acclaimed Batman trilogy comes to an end this summer with The Dark Knight Rises. 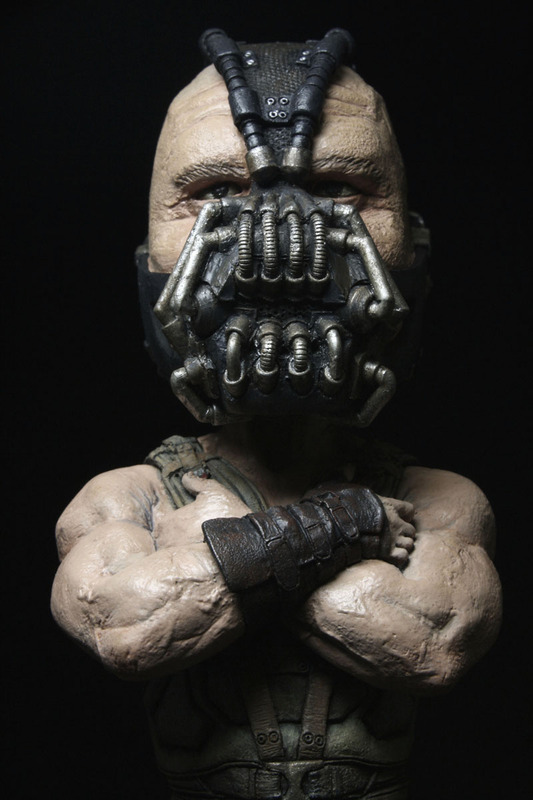 Today, we’re showing you our 2 HeadKnockers for Batman and Bane. 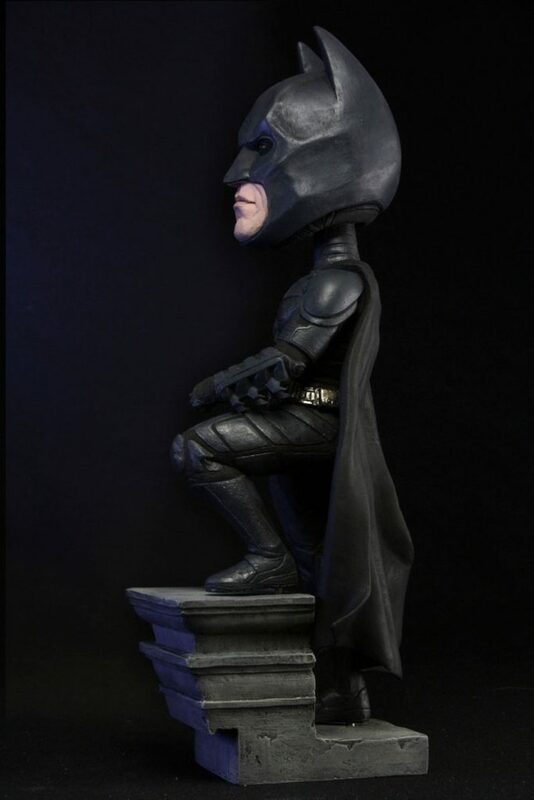 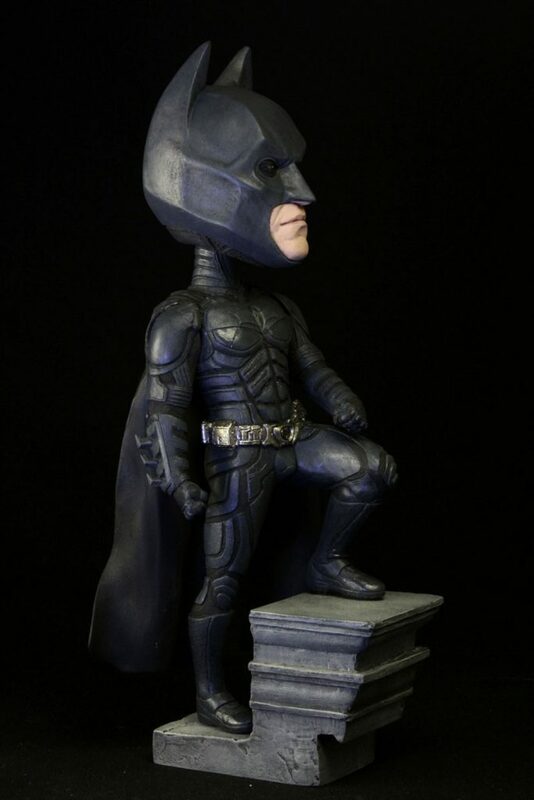 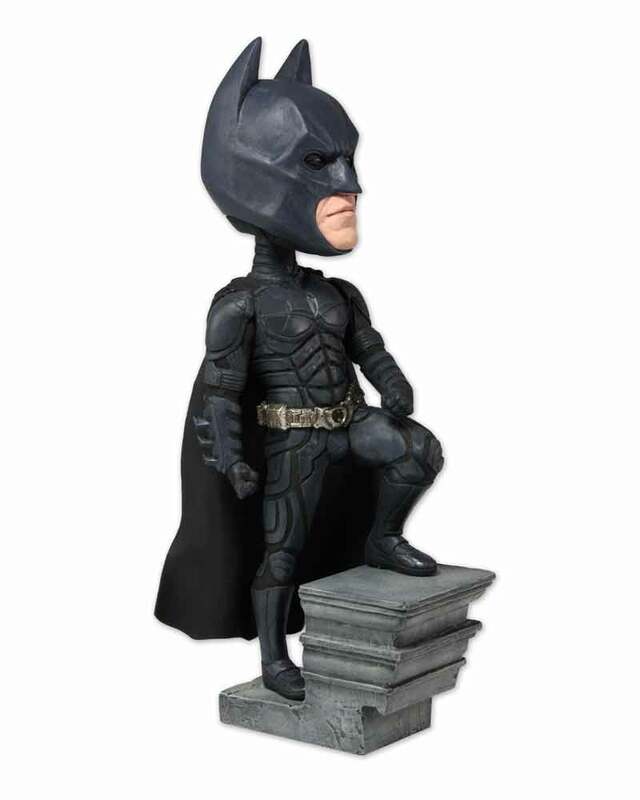 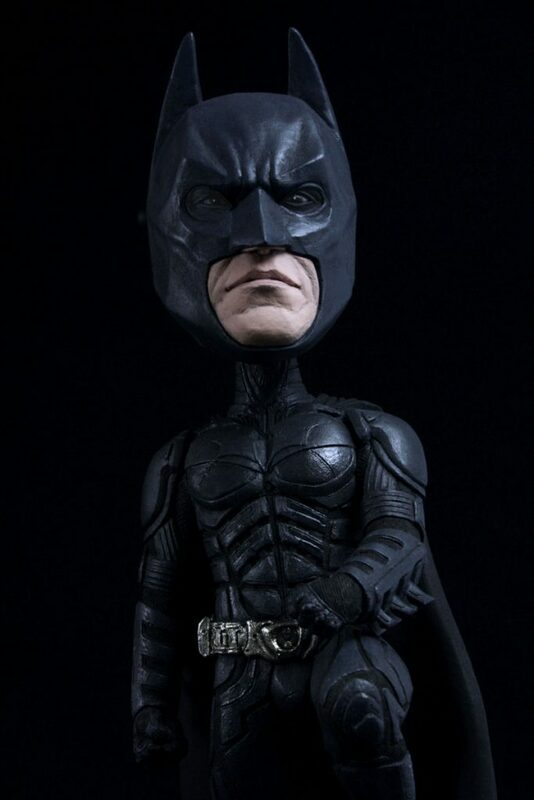 We believe the broken Batman mask at his feet adds depth to the sculpt, and once the film comes out, you’ll understand how much that mask means.. 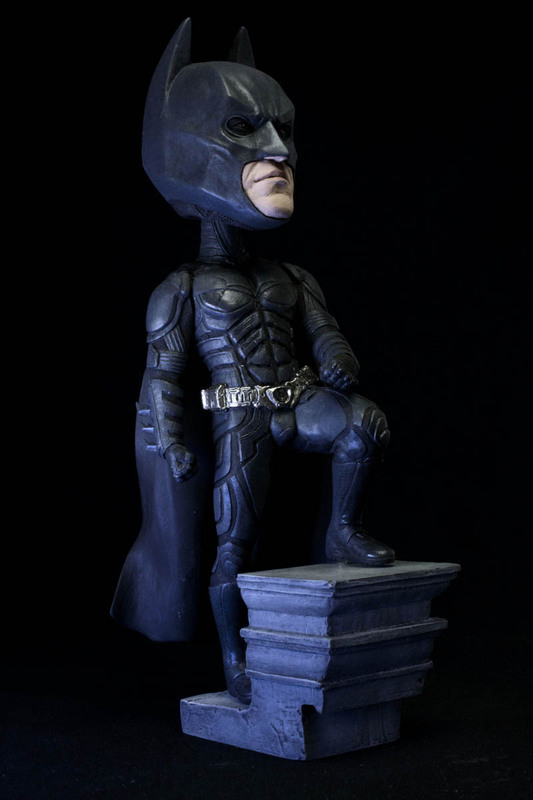 These figures are approximately 8″ tall, hand-painted, and made of resin. 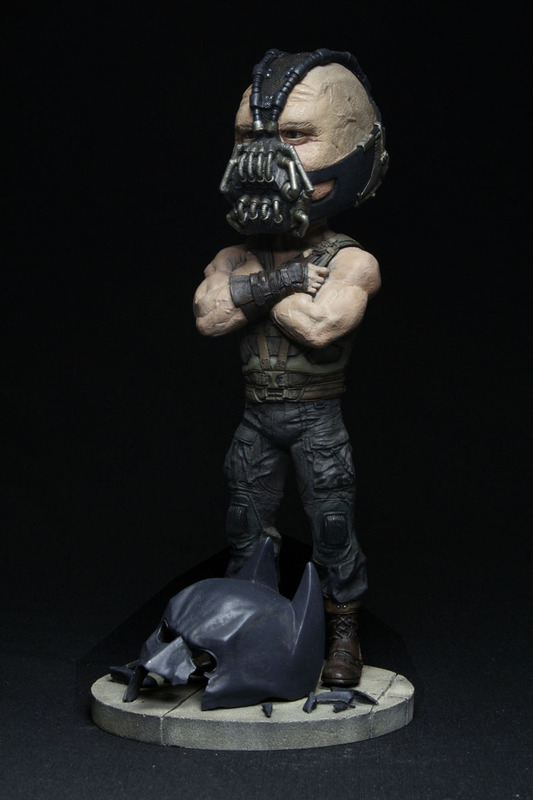 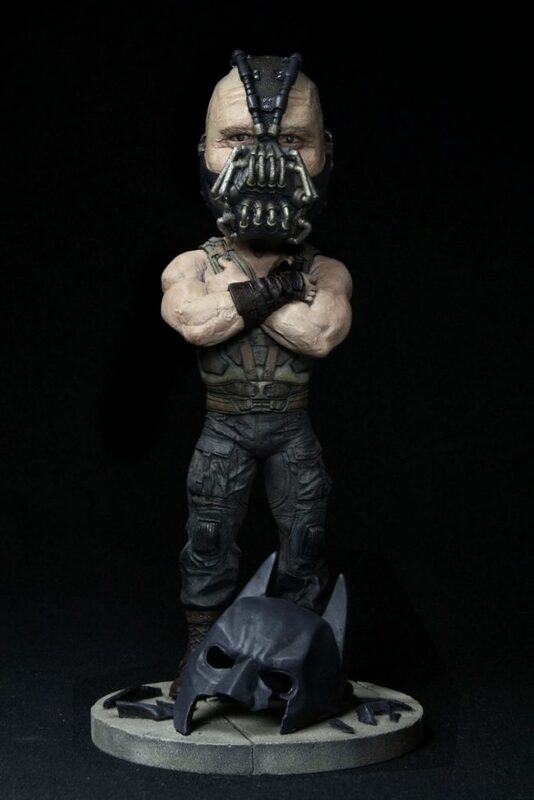 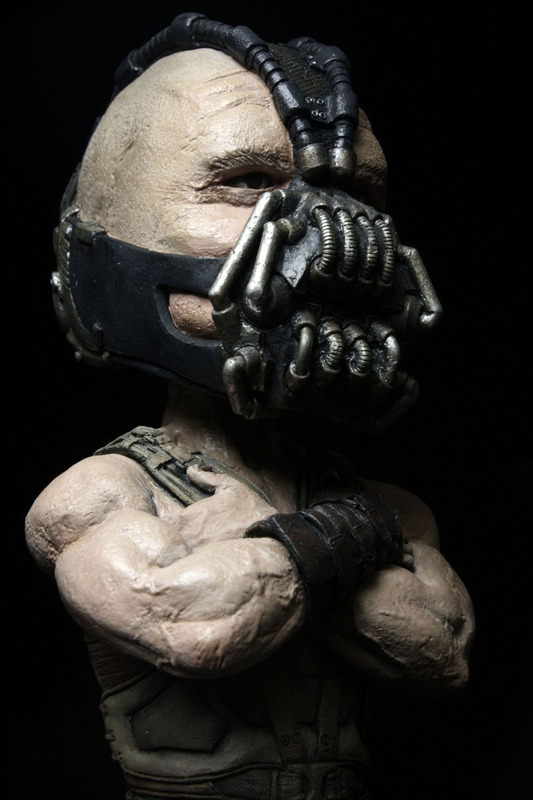 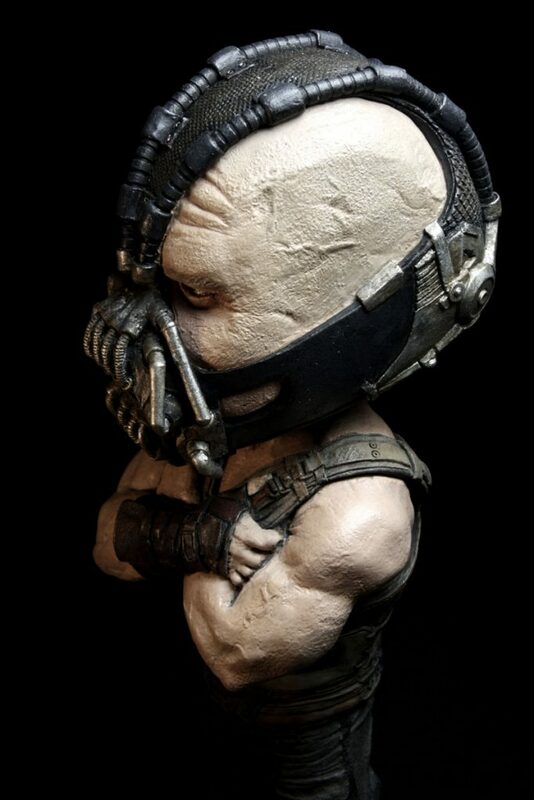 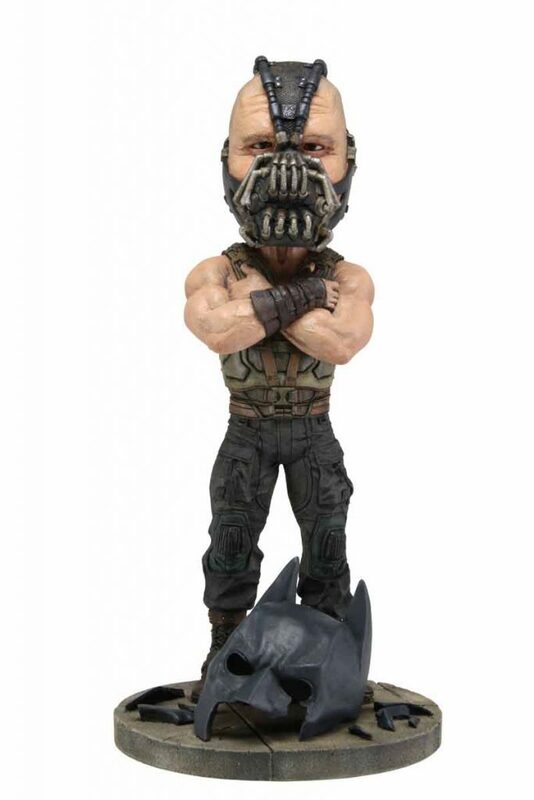 Both Batman and Bane will be available in June in your favorite toy stores.